Upon releasing their debut "Days Grow Longer" in 2011, I Hate You Just Kidding began writing a follow up. However, the touring life sometimes takes its toll. So after a 5 year hiatus, 2 children and 1 marriage, the sophomore album is completed. 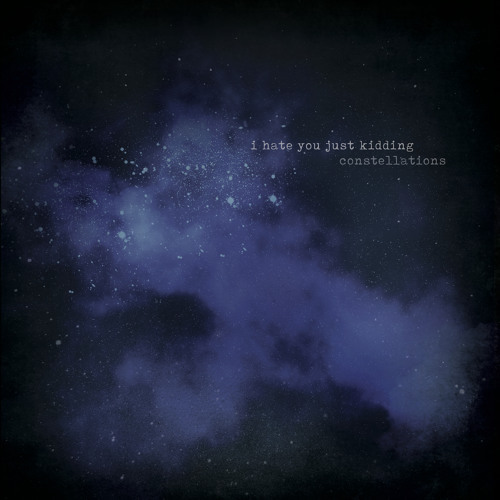 "Constellations" is comprised of 9 tracks written in 2011/2012 and recording over the summer of 2016 at The Music Box Studios in Downtown Fullerton, California. Co-Produced, Engineered & Mixed by Jonathan O'Brien, it features members of local Los Angeles bands Fellow Bohemian, Tuft, and Parting Lines.